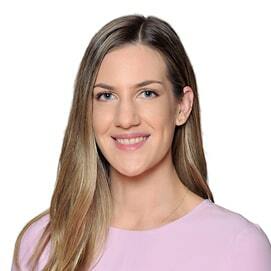 As a consultant and registered psychologist, Jessica has a strong analytical and research background. Together with her emphasis on evidence-based practice, Jessica has a keen interest in organisational development and transformation. She combines experience across the private, public, and not-for-profit sectors with a collaborative and authentic approach to deliver value for her clients. Delivered an extensive literature review of best practice change management, with relation to diversity and inclusion, for a multi-national technology company. Before joining Nous, Jessica worked in a private consulting role for an internationally recognised consultant, researcher and writer. She holds a Master of Organisational Psychology, for which she was awarded the Beryl Hesketh prize; an Honours Degree in Psychology; and a Bachelor of Business Administration with a Bachelor of Arts (psychology) – all from Macquarie University. In conjunction with her extensive education, Jessica is accredited in a range of psychometric assessment tools – including Saville Wave, CEB Personality and Ability and Hogan Assessment Certification. Jessica enjoys writing and finding new music, binge-watching true-crime documentaries, watercolour-painting, and trying to find a horror movie that scares her (suggestions welcome).